There are wonderful things to designing and growing a garden. There’s such a range of benefits from all that effort; from looking beautiful in its own right to providing a beautiful bounty of healthy, fresh produce. If you ever had the privilege of eating herbs, fruits or veggies fresh from a garden, you know that what is available in chain grocery stores is a pale imitation of the real thing. It’s hard to acknowledge a store-bought tomato when you’ve bitten into the red, ripe, succulently delicious fruit that’s been warming on the vine only a few feet from your kitchen door. You have a greater appreciation of the collaborative effort you and Mother Nature made, you know where your food is coming from and you know your produce hasn’t been sprayed with all manner of chemicals. There’s a huge sense of satisfaction and accomplishment, and with a little forethought, you can provide you and your family with fresh produce virtually all year-long. Your health improves, and your grocery bills get a little trimmer as well. Gardening teaches you all of this. In the case of growing vegetables, you develop self-sufficiency. If you have children, you can – by literally getting their hands dirty – teach them some powerful life lessons. This incredible experience is, however, in jeopardy. The right to grow your own food is threatened by many out-dated property by-laws enforced in municipalities across Canada. This flies directly in the face of Canada’s supposed committment to protect the rights of its citizens to accessible, affordable food on a regular basis. This committment is in the form of an agreement made along with the rest of the UN General Assembly in 1966 (yes, 46 YEARS ago), when they adopted the International Covenant on Economic, Social and Cultural Rights (ICESCR). This covenant has been in force since 1976, which Canada ratified in May of that year, and began to enforce (supposedly) 3 months later. Given that the use of food banks has risen by 123% nationwide since their inception in 1989, successive federal governments’ actual committment to providing its citizens with this basic human right is questionable. Food Security has become the catch-phrase heard in mainstream media in recent times, and has at its foundation, the right to food – as stated by the ICESCR. But other recent news items should give us pause. The US Department of Agriculture reports that almost two-thirds of the contiguous United States is in a moderate to severe drought. Concerns have been raised worldwide as to the threat of soaring global food prices. A July 25th article in the New York times reported that the US government has warned of impending food price hikes – particularly on milk, beef, chicken and pork. Another news item, this time from Quebec is related, although it may not seem so at first blush. 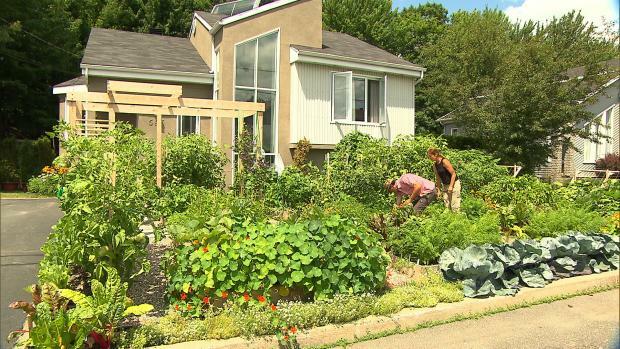 This month, a Drummondville, Quebec couple have locked horns with municipal officials over the fact they have converted their entire front lawn into a vegetable garden. A beautiful, and well-tended vegetable garden, I might add! This couple has run afoul of local by-laws that state that front yards should be made up of at least 30% grass. Their’s has none – as you can see by the picture. After increased media attention, including a John Lennon-Yoko Ono-styled sit-in called, aptly, “Give Peas a Chance”, municipal authorities have given this couple until September to remove garden beds from the very front of the property for city infrastructure access. There are other examples in the news of over-zealous municipal officials enforcing what amounts to violations of a Canadian’s right to (grow their his/her) food – including a man in Mission, BC who was fined $5,200 for, wait for it, growing cucumbers in his basement! This poor fellow got caught up in what he and other Mission citizens claim was an illegal search for marijuana grow-ops. Truly, I don’t mean to sound like an alarmist, but I do believe we all need to pay more attention to how this is starting to unfold across Canada. It’s subtle, and we need to be diligent about protecting one of our basic rights. And we need to keep an eye on what’s going on in the world; more often we hear about the need to become more self-sufficient. Maybe that’s not a bad idea. Here in BC, we get about 75% of our produce from the US. Ironically, we live in a province that has the longest growing season in all of Canada, and we’re getting 75% of our produce from the US??? Don’t despair, there are lots of things we can do. Here’s a suggestion. If feasible, why not invest in getting a shelf or two in your freezer stocked with meat? Costco’s a good way to go. And it will keep. And if you’ve got yard space that gets enough sunlight for produce (minimum of 6 continuous hours), start growing your own veggies. Sure, there’s a bit of a learning curve, but that’s a rather small price to pay to be more self-sufficient in the growing of your own produce. For you busy types (and who isn’t these days), check out community shared agricultural programs like they have at Metro Vancouver City Farms (www.vancouvercityfarms.com). Or hire someone to design it, set it up for you and teach you how to earn those two brown thumbs. In reading the comments left after all the articles I’ve read about citizens running afoul of antiquated municipal by-laws, easily 90% of them voice support for front (and/or) back yard vegetable gardens while conveying their anger and frustration at these seemingly nonsensical by-laws. If local governments are truly interested in saving money, the provinces and Ottawa truly want us to be healthier, and everyone wants to be more respectful of the environment, what better way than to turf high maintenance-high cost sod and put in its place lush, low-cost, non-polluting, healthy, life- giving food crops? Remember, the right to food is enshrined within the International Bill of Human Rights. So get out there and stand up – by digging down – for your rights! Be defiant – go grow some herbs! The “Psychology of Gardening”. Did you even know there was such a thing? It’s a slow, gradual process – kind of like evolution, so hence the title – so it’s kind of hard to detect. 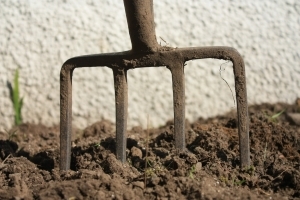 From my own experiences digging about in my clients’ dirt, there is soooo much more to gardening than weeding, pruning and raking. That’s the visible stuff. There’s a whole host of invisible “stuff” going on that goes a long way to explain what drives our kind to seek out spending hours in hot sun and high humidity or torrential downpours and varying degrees of muckiness. I sense it in the odd way people look at me when I tell them that I sincerely enjoy weeding. Sort of like they don’t know how to arrange their faces. But that could just be my imagination. The “invisible” I refer to are qualities that one needs if they ever hope to feel like a true “gardener”. I think they are qualities that either need to be there in the first place, and/or are patiently taught by the very elements that make up a garden; plants and water, soil and sun. Adaptability, Committment, Curiosity, Humility, Learning, Patience, Proactiveness, Problem Solving, Self-Reflection, Sense of Abundance. Having these qualities are just as important as having the right tools to do the right job the right way. The result? Beyond the obvious physical benefits from an activity that works every muscle group in your body, are the more subtle ones; Beauty, Form, Function, Joy, Order, Peace, Pride and Safety. Double the benefits if you happen to be both the gardener and the gardenee! Remember that quality, Patience? Hoo Boy. Big Time. Way…. Really. That means the passage of time – a season, or two or three or…. And we tend to forget where we started from, and how far we’ve come. Because sometimes it takes a while to enjoy the “fruits” of our labours, and we’ve perhaps have had our heads down; eagle eyes looking to whisk away the smallest effrontery of anything weed-like. Gardener and gardenee alike, please lift your heads from time to time. Stand up, stretch and take a moment to look around and see what you’ve accomplished; inside yourselves as well as in your gardens. I take pictures of my clients’ gardens. Lots of pictures. Before. During. “After”. The caveat with “After” is that there really never is an after. There is only evolution. Plants outgrow their space, and we sometimes outgrow our interest in them and want to try something else. So the pictures not only serve to confirm just how much you’ve accomplished, they’ll help tell your story. And how cool is it to tell your story with bright, colourful living things! How healthy is your garden? 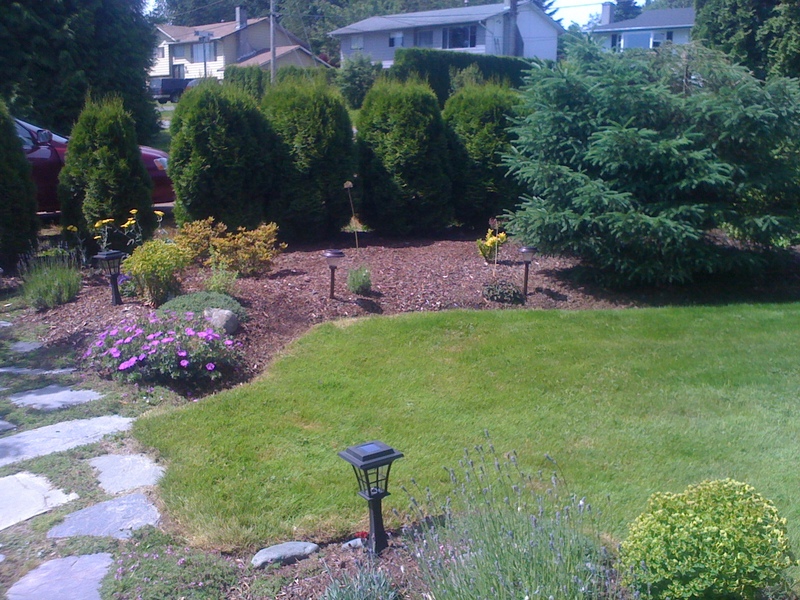 Regular exercise, good nutrition and a healthy lifestyle is what … a garden needs. 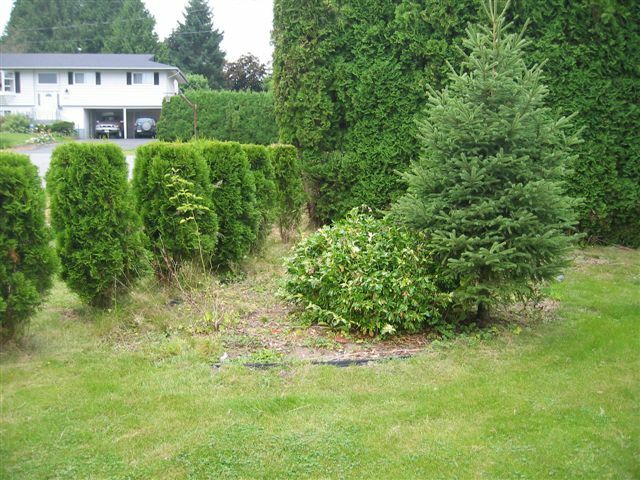 It may only have been a season or so since you last looked at the well-being of your shrubs and perennials, your trees and lawn, but things can grow quickly out of hand or once thriving greenery may be sucumbing to brown edges and die-back. When the system is out of balance, it’s harder for plants and flowers to produce lush, healthy foliage and flowers, and to ward off disease. Like any program to get back into shape, a garden’s health is dependent on regular grooming and a healthy lifestyle. There are things that need to be done in sequence to attain vibrant health and peak fitness, and they won’t happen overnight. At the same time, the measurement of success of any program cannot be determined if there is no defined starting point. Let’s continue the analogy and consider a “full physical” for the garden, including lab work to test for a range of biological markers. The degree to which they show up or not will provide a clear diagnosis of the garden’s current condition. From this understanding, a clear course of action can be prescribed. That starting point is not the plants themselves, but the soil in which they grow. Soil is the foundation for all bedding plants in both physical and nutritional support. The physical component of the soil is important (for example the ratio of sand, gravel and clay), as is its pH value and the concentration of the three key nutrients for all plant life: oxygen, nitrogen and phosphorus.